Way back when, I used to sell The Punch Papers. 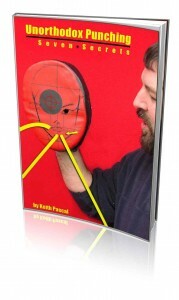 It was a collection of articles to improve your punching. It came with a couple of eBonuses, one of which was an earlier version of Devastating Punches. 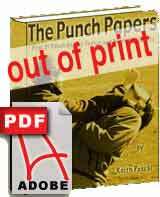 Within six months of publication, the martial arts underground was talking up the Punch Papers (out of print) and the booklet that you’re about to download. Amazing. Everyone loved this little ebook. Now, I’m proud to be able to offer it for FREE to all subscribers on this Punch List. I think it’s a great way to start our punching time together. Wouldn’t you agree? And from time to time, I’ll gift you other punch-related ebooklets. The emphasis is almost always on the practical. I want you to improve. If having great punches is important to you, then your goal is important to me. I’m just about proof positive that I can help you achieve your punch goals. Not on the list yet? It’s Free to join.You’ll get lots of useful punch information; the majority of it won’t cost you a dime. Occasionally, I’ll tell you about a recommended Punch ebook offer. I pride myself in making sure you get a lot of bang for your buck. In other words, you’ll get good deals, only. But seriously, most of what you learn will be through articles emailed to you and free booklets. This isn’t about the money — I want to make sure you achieve your punching goals. Note: Actually, I don’t know you. 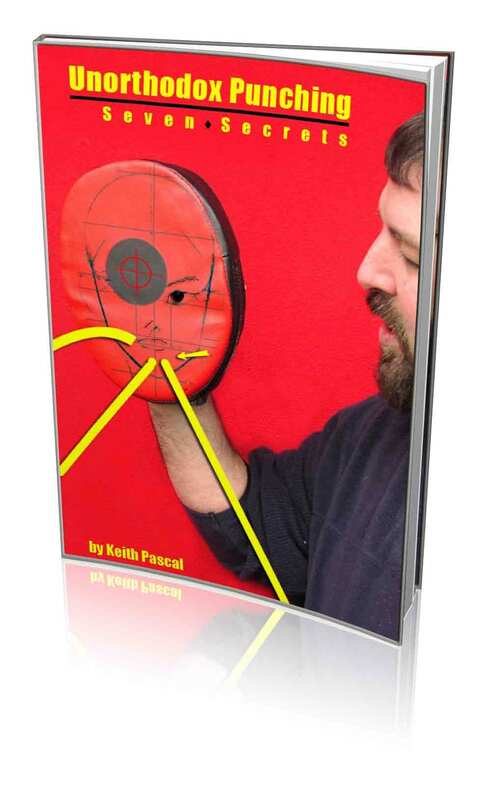 But if you have a passion for improving your punches, then we’re talking the same language. ¿Comprende? 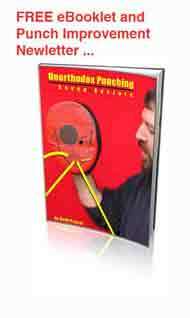 Now, if you’re ready to download your free copy of seven secrets for Devasting Punches, then sign up for the Punch Newsletter.